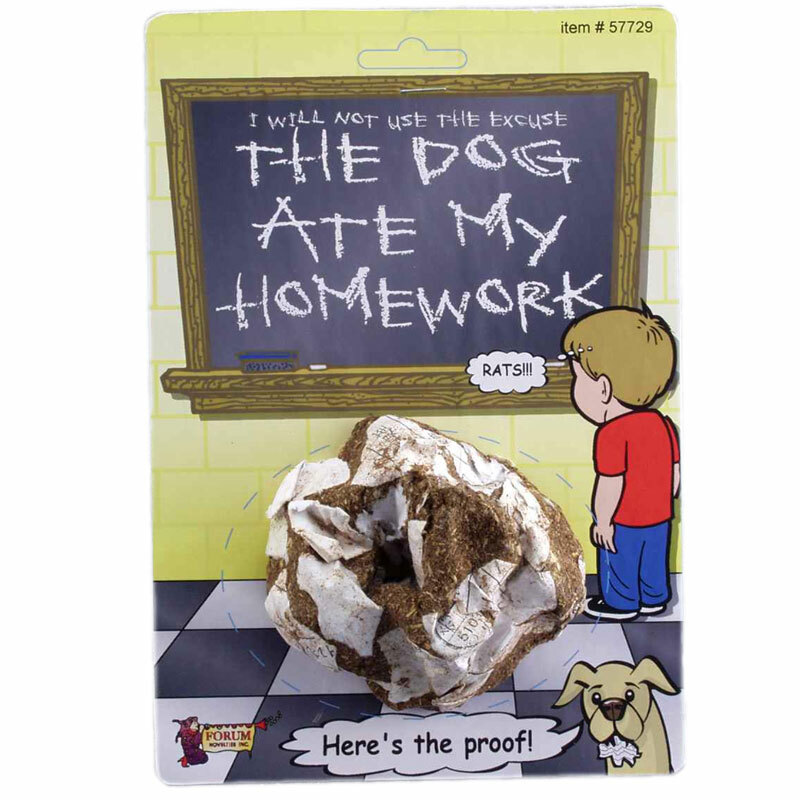 This gruesome Prank looks like the Dog really did chew up your homework and then digested it and then you picked it up and carried it into class to show and tell. People will be repulsed, horrified, and exasperated. Your teacher will just beg that you remove it from his classroom. Only you will know that the completely fake and plastic Prank poop is completely fake.